While tile is ultimately the first line of defense against the elements on a roof installation, underlayments play a critical role by providing a secondary level of waterproofing protection directly on top of the wood roof deck. As a crucial barrier that contributes to the performance and longevity of the entire roof system, it is important to choose the right underlayment for your roof and your particular climate. A self adhering, modified asphalt underlayment that is easy to install and provides a slip resistant surface that seals around nail penetrations, making it the preferred choice for tile roofs. 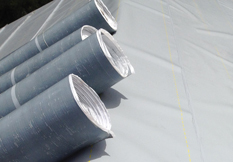 GatorSeal® Underlayment is a heavy duty, modified asphalt reinforced underlayment that seals around nail penetrations and protects against ice dams and wind driven rain. Citadel® Plus SBS modified asphalt core self-seals around nail or screw penetrations when mechanically fixing roofing. Seals to the roof deck providing additional security against potential leaks compared to mechanically fastened base sheets. 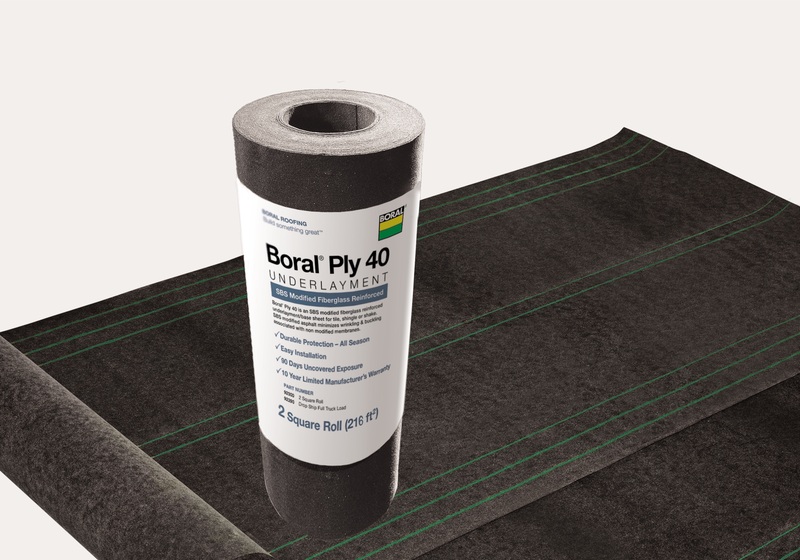 Boral® Ply 40 is an SBS modified fiberglass reinforced underlayment/base sheet for tile, shingle, shake or as a waterproof base for torch down APP, SBS & BUR system. SBS modified asphalt minimizes wrinkling and buckling associated with non-modified membranes.